Well for starters, Clinical Pilates is exercise and exercise is well supported and widely recommended as a vital part of your arthritis management. In general, be it range of motion, strength, aerobic exercise or incidental movement, exercise benefits your health and fitness and can be done without hurting your joints when tailored to your own needs. However, finding the exercise activity and intensity that’s right for you isn’t always as easy as it sounds. We often see clients in our practice with advanced arthritis who are diligent with a general homogenous program to…for example.. “strengthen my glutes and quads”. They are putting in their best effort to maintain their joint function but only finding they are getting sorer and tighter and wonder if what they are doing is just making things worse. “Exercise” is not a “One Size Fits All” approach when it comes to arthritis. Your physiotherapist can work with you to determine the best body positions, loads and types of exercises for you to support, rather than further compromise joint health. But how is Clinical Pilates different? This is where the tailoring comes in. Clinical Pilates is about MOVEMENT EFFICIENCY. Smooth coordinated movement with functional stability optimises the way we use and load our joints. Even within a Clinical Pilates repertoire, some exercises will suit one person but not another. Functional testing and individualising exercises becomes very important and is key to what we do at Wisdom Physiotherapy in Nedlands. Doesn’t all Pilates just work on the premise of “Strengthening the Core”? While 20 years of looking at Tranversus Abdominus (commonly referred to as “your core” in exercise classes) in isolation was a good start, we now know that one can’t just train this muscle consciously on its own. The T.A., responsible for a lot of stability at our centre is part of a global synergy of muscles and it only fires effectively when we “do stuff”. 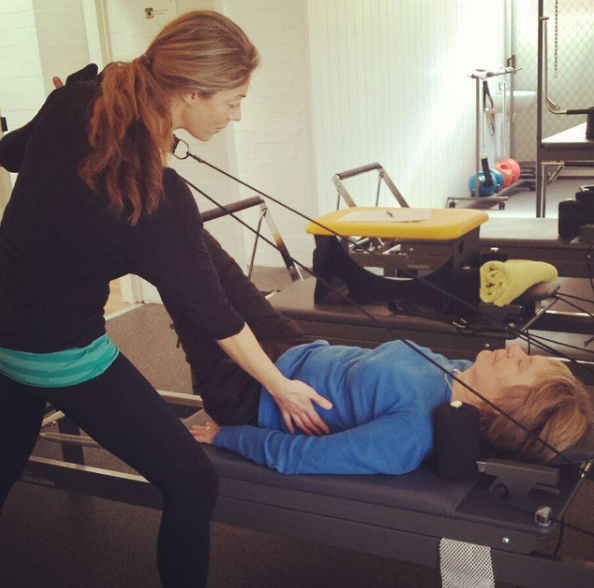 Our Clinical Pilates approach reflects current developments in the science of movement. The last 5-7 years has produced movement control literature which has shifted the focus from single muscle activity to function; it’s the whole-body movement that’s important. One of the biggest shifts has been the recognition of the direction of movement providing the best functional stability being unique to the individual. This development has been immensely helpful for finding the right exercises for already overloaded and damaged joints. How might my experience of Arthritis change with Clinical Pilates? As you are probably well aware, the levels of pain and function with arthritic joints changes depending on many factors: your activity the previous day, the weather, your overall wellness…or for no identifiable reason in particular. The nature of Clinical Pilates with modifiable positions and loads means there is always something beneficial to be offered on any day, no matter how you present. The flowing movements are ideal for joint health and the tailoring for your own body’s movement patterns means you are not persisting with general exercises that are potentially aggravating the situation. While there are still ups and downs, flares and remissions, knowing how to recognise your body’s patterns and messages and adapt accordingly will see you enjoying the benefits of regular exercise in and out of the Clinical Pilates studio. To make an appointment with Jane Leslie or one of our other Physiotherapists, call us on (08) 6389 2947, email us or click here to book online. Clinical Pilates not just for the young but the young at heart!